As manufacturers constantly change their sales publicity many car dealers face increasing costs to dispose of obsolete posters, brochures and car display materials. 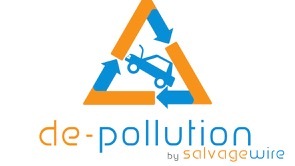 Salvage Wire are proud to offer a free of charge recycling service for all car posters, brochures and car display materials to car dealers and manufacturer agents. All you have to do is phone or e-mail Salvage Wire and we will arrange free of charge collection of your unwanted posters, brochures and car display materials, saving you the time and cost of disposal. 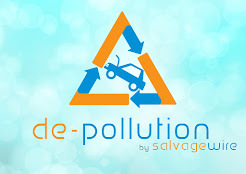 Salvage Wire are committed to ethical recycling and will process each item to full environmental standards. We look forward to your request, and please do not hesitate to contact us if you have any questions. Bluecycle, the online auction specialist have a 2008 Audi RS6 (V10 Quattro) at auction now, www.bluecycle.com to follow the auction. Bluecycle, the online auction experts have a road ready 1965 Ford Mustang Coupe at auction, www.bluecycle.com to watch the auction. The world has seen many great leaders come and go, Nelson Mandella, Winston Churchill, and Martin Luther-King to name a few. In a deliberate attempt to provoke discussion and comment I ask where are the leaders in the Auto Recycling industry? By its’ nature, the auto recycling industry is fragmented, lots of small family owned and run companies that are servicing an ever growing clientele – enabled by the internet, most companies can get access to a global marketplace. There are a few organisations that endeavour to bring the industry together – The Automotive Recycling Association based in the US is one example, Auto Recycling Canada another and there are many other similar organisations around the world that offer benefits for their members, but is there one person who has the ability to speak for the whole industry? Unfortunately not, the various rules and regulations in each country mean that most national organisations can only speak for the country they represent, and their comments do not always carry enough weight to be taken seriously by other countries. There is an opportunity to make a difference through the International Round Table on Auto Recycling which is taking place in Liverpool, England, in June of this year. The event is being hosted at Hills Motors and runs in conjunction with the CARS Expo, the chairman for the event with be Steve Fletcher, the respected head of Auto Recycling Canada and seen by many as the guardian of the International Round Table. Highlights of the event will include reports from each country represented, further discussions on areas of international interest and a full teaching and training programmes that are designed to bring benefit to all delegates attending and their businesses. You can see more information at https://irt-autorecycling.org and at www.cars-expo.com , both web sites feature on-line booking as well as details of accommodation, seminars and training as well as live entertainment and other events.